Nintendo has today announced the release of, and disclosed some details regarding their upcoming console. Codenamed the NX prior to the reveal, the Nintendo Switch will function as both a home and portable console. 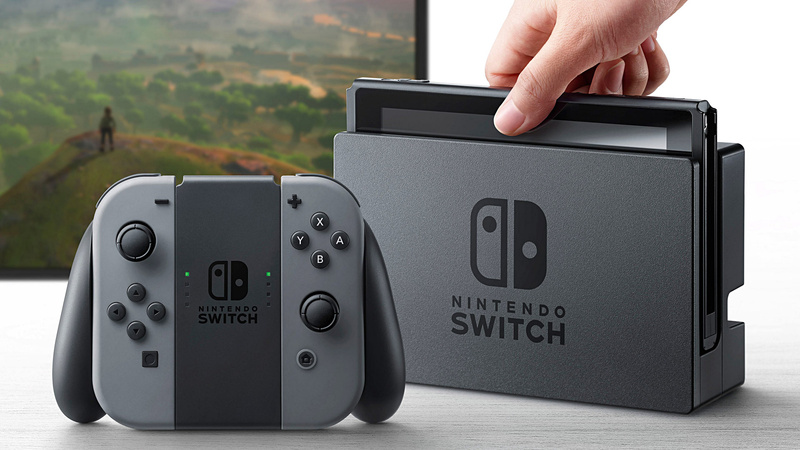 Essentially, the Switch is a tablet which can be docked next to your TV, or removed from its dock, allowing the user to play their games on-the-go, in traditional portable console fashion. Nintendo’s portable and home game libraries will also now be combined into a single platform, nullifying the need to buy two pieces of Nintendo hardware to enjoy all the games from the company. You’ll notice a controller layout combining buttons and joysticks, which, when used together, will allow you to play more complex games like the upcoming Zelda title. Alternatively, each side of the controller can be removed and handed to a friend, allowing for competitive portable games of the likes of Mario Kart. The console will also support local multiplayer gameplay via the linking of two or more consoles. The Nintendo Switch is set for a March 2017 release.